We want to know how you slept last night. That might sound like an odd question, but we know that sleep is one of the primary factors affecting how you will perform today – and throughout your lifetime. If you slept well last night, your body’s neurocognitive system was able to repair and replenish itself, consolidating new knowledge and skills, carefully storing and conserving memory, and creating neural space for new ideas and creative function. If you slept well, your body’s invaluable cardiovascular, muscular, digestive, and hormonal systems completed the crucial repairs and rejuvenations required for daily activity and lifelong health. If you slept well, you’re less likely to get into a car accident on the drive home from work today. You’re more likely to engage in positive, productive relationships with colleagues, clients, friends, and family members. If you slept well last night, and continue to sleep well, you are less vulnerable to disease, depression, anxiety, weight issues, and other conditions that can become debilitating and extremely expensive over time. Overall, businesses benefit from employees who are well rested, healthier, happier, safer, and more productive in the workplace. 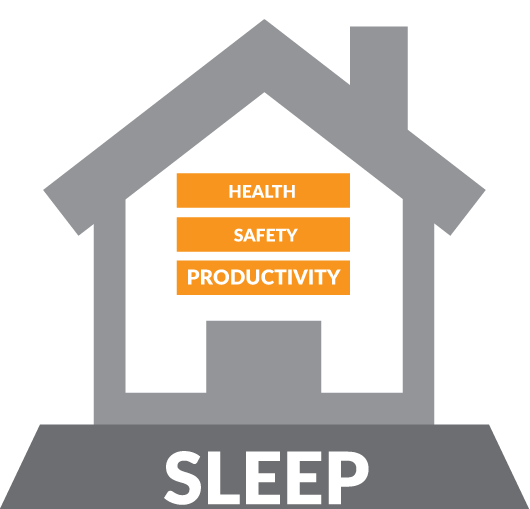 Sleep may be free, but for many companies, it’s an untapped and ignored gold mine for better productivity, increased safety, and lower healthcare costs. Our Optisom physicians wrestled with how to best present their findings to corporate partners. It almost sounds too simple to be true—could the solution to high health care and liability costs, lackluster productivity, and diminished creativity really be sleep? It didn’t take long for the Optisom team to substantiate their own proven data with externally-validated findings from reputable sources including universities, hospitals, research centers, and nationally-recognized state departments, all corroborating the simple truth: Sleep is an important investment. Healthy, happy people make better employees. When your employees are well-rested, their bodies are less worn down by sickness, disease, and discomfort. Mentally, a well-rested employee will feel more alert, more engaged, and more inclined to cooperate productively in the workplace. Picture your workplace if every member of your team woke up on the wrong side of the bed every morning – arriving to work unprepared, irritable, and already counting the hours until clocking out. Well, substitute “the wrong side of the bed” with sleep deprivation, and you get a pretty accurate idea of what is currently happening at your company. Sleeping less than six hours per night has the same effect on employee productivity as going 48 hours without sleep. Whole swaths of the American population report that feeling sleepy during the day interrupts their ability to engage in daily activities, including work. The verdict is in, and it’s unanimous. Sleep is the canary in the coal mine. Any reputable health agency on the planet will tell you that sleep deprivation takes a terrible toll on your health, with both short-term and long-term consequences. The World Health Organizations describes sleep as a basic human need. The Centers for Disease Control and Prevention recognizes insufficient sleep as a public health epidemic. The CDC also directly connects sleep deprivation with chronic diseases including obesity, hypertension, depression, and cancer. When people don’t sleep enough, they require costly medical care and they suffer an inferior quality of life. Skipping an hour or two of sleep here and there might not seem problematic. But for each hour of lost sleep, sleep deprivation accumulates like a debt with staggering interest rates. Eventually, you won’t be able to pay it back. The unfortunate reality is that sleep deprivation, left untreated, will break down your body. Sleep deprivation makes it impossible for people to perform safely at work. We’re all familiar with the phrase, “It’s an accident waiting to happen.” You might feel pleased with the current safety record at your company, but the truth is that, like any company, you’re one accident away from tragedy and financial vulnerability. Harvard Medical School reports that sleep deprivation critically impairs job performance, with potentially disastrous long-term consequences. Highly fatigued workers are 70 percent more likely to become involved in workplace accidents. No one can afford the trauma and heartbreak associated with serious injury or death in the workplace, especially if preventable by something as simple as sleep. And even the strictest pragmatist knows that potential liability for workplace accidents can be extremely costly.